Who is ready for shark week!! I know I am! LOL! 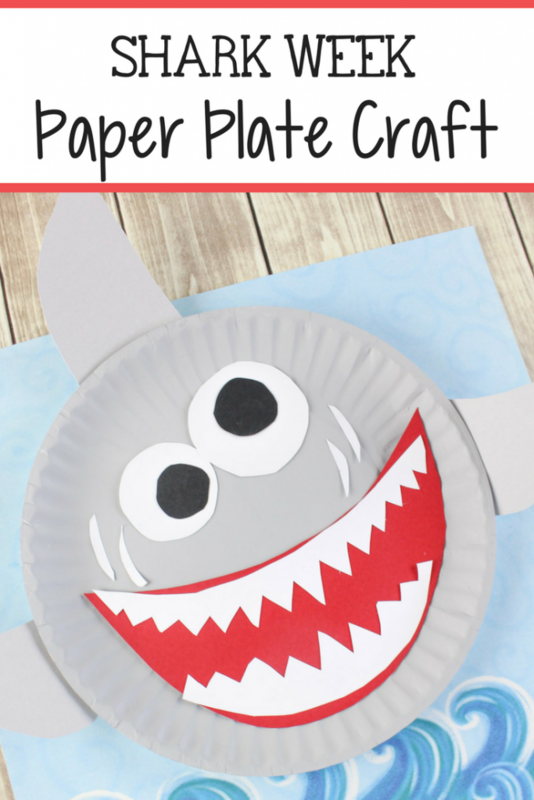 This is a great craft no matter if it is shark week or you or just studying these amazing creatures. 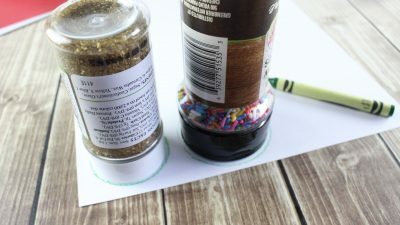 Just grab some simple craft supplies and have fun! Enjoy! 1. 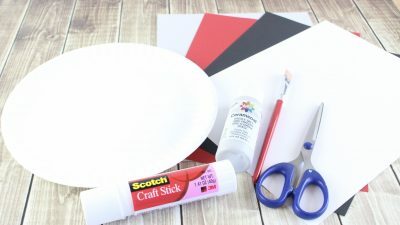 Paint the entire front of the plate gray and set aside to dry. 2. From the white construction paper, cut out 2 eyes. 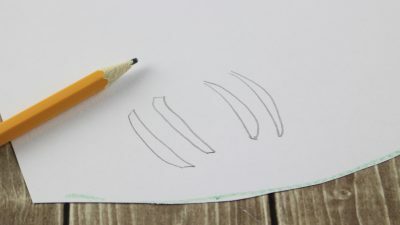 I traced around the lids of 2 spice jars and made one eye larger than the other. Set aside remaining white paper for Step 5. 3. Cut out 2 eye pupils from the black construction paper. Glue each black pupil onto each eye and set aside. 4. 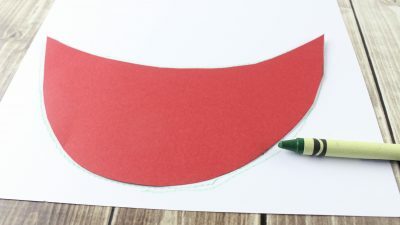 Draw a large mouth on the red construction paper and cut out. 5. 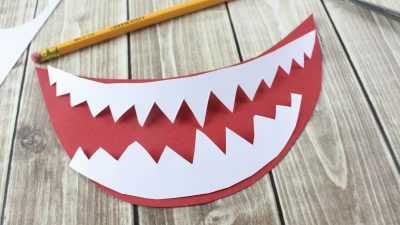 Trace the outline of the red mouth on the white construction paper and draw teeth at the top and bottom. Cut the upper and bottom teeth out. Glue the upper teeth at the top of the red mouth. Glue the bottom teeth at the bottom of the red mouth and set aside. 6. 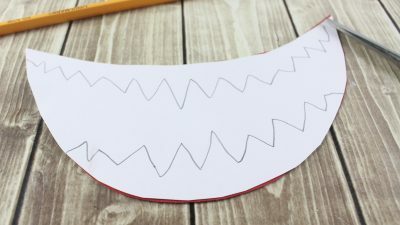 With the leftover white construction paper, draw 4 skinny crescent shapes (about 1 inch long) and cut them out with scissors. 7. 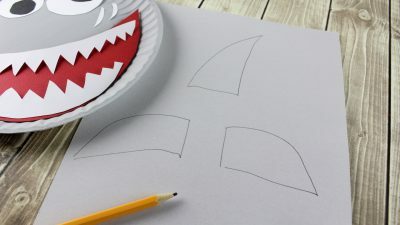 Cut out the 3 shark fins from the gray construction paper. 1. 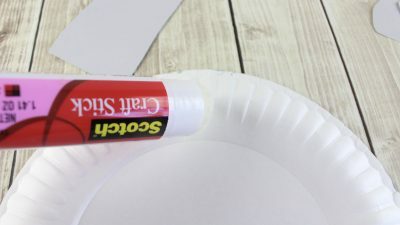 With a glue stick, apply glue to the back of both eyes and glue up at the top of the paper plate. 2. 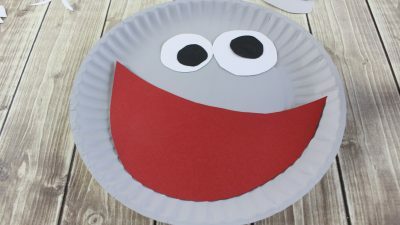 Apply glue to the back of the red mouth and onto the plate where the mouth will be placed. Press the mouth down firmly and hold for 10 seconds. 3. 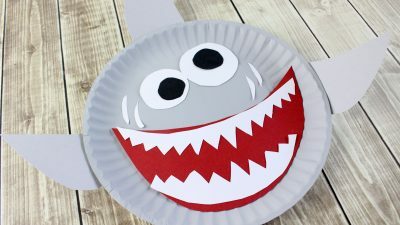 Apply glue to the back of the 4 white crescent shapes and place 2 on each far side of the shark, above the mouth. 4. Run the glue stick along the base of the top fin and attach to the back of the plate, directly in the middle. Press firmly and hold for 10 seconds. 5. Run the glue stick along the base of the left fin and attach to the back of the plate, directly in the middle of the left side. Press firmly and hold for 10 seconds. 6. 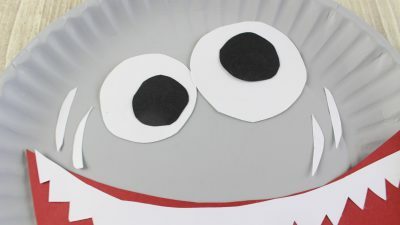 Apply glue to the base of the right fan and attach to the back of the plate, directly in the middle of the right side. Press firmly and hold for 10 seconds.